Last summer, the Lego Stores made some adjustments to their Pick-a-Brick walls. Word on the street was that we would be seeing more thematic parts selection, and for a while that seemed to be true. A whole slew of ‘Friends’ themed elements (all those bright colors) started showing up and individual bins were getting signage to indicate that they would complement different themes. Then the wall started to get stagnant. 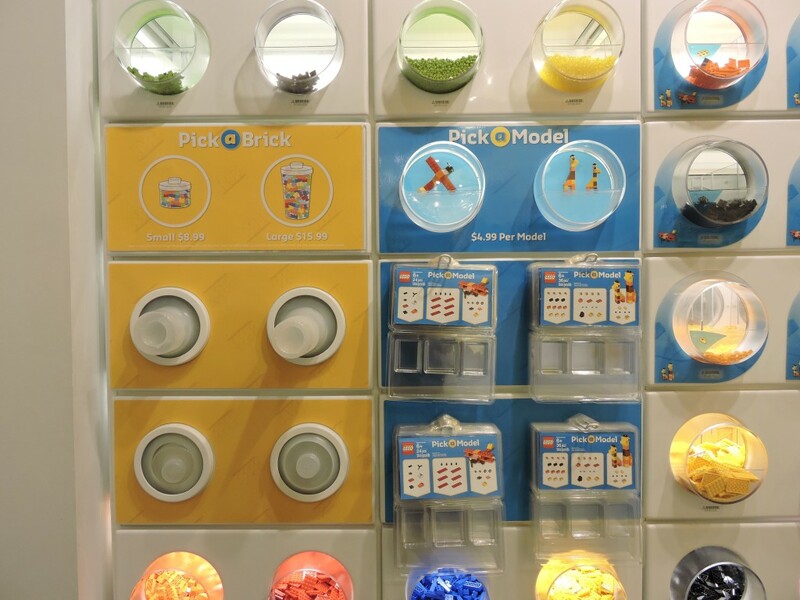 This month, Lego unveiled a new feature to complement the existing Pick-a-Brick wall: Pick-a-Model. This new section is aimed squarely at younger builders who are daunted by the idea of building from the raw elements of the wall. Now they can choose one of the two models and follow the instructions to pick the elements from the wall and assemble them. These are small models (25 to 35 elements) for $4.99 and they fit into little clam-shell packages similar to the Build-a-Minifig packaging. They’ve started out with a choice of two models: a plane and a pair of giraffes. Though there is a suggestion of gender, it isn’t reinforced by colors or any actual signage, and I appreciate that. 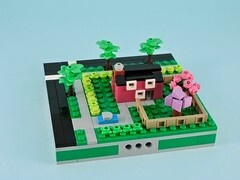 One of the greatest things about Lego is that it can become almost anything to any builder. As an AFOL, I can’t say that I think much of these models, but then again they really aren’t aimed at me. I don’t have that much difficulty finding the potential the wall as it is. The price-per-piece on these are terrible so I suspect that they’ll be generally overlooked by builders of any experience. 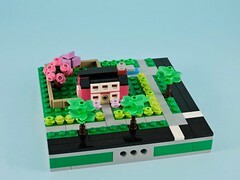 The worst aspect for me is the loss of selection on the Pick-A-Brick wall. 12 bins were lost to signage, cup dispensers (which are completely redundant) and a supply of Pick-A-Model packaging. Beyond that, dozens of bins are stocked with parts for these special models (in surprisingly small quantities). 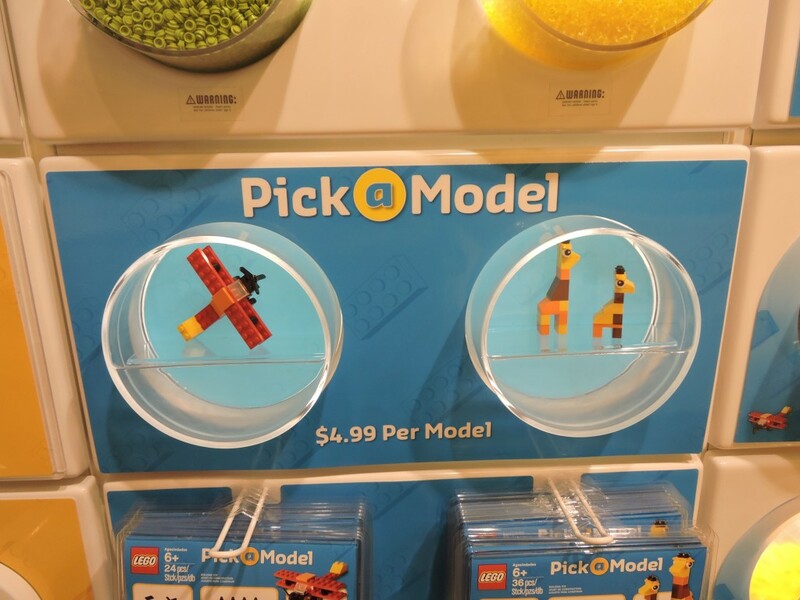 There isn’t any indication that customers can’t put these elements in their regular Pick-A-Brick cups and the Lego Store employees that I talked to said that they wouldn’t be policing it. That said, there were already elements that were in short supply. I could easily have scooped up all of the eyes and barely made a dent in my large cup (an employee did remark that they would frown on a customer who did so). I suspect that there will be unwritten policies that shift from store to store. I look forward to seeing how this experiment goes. If these new elements are stocked in sufficient quantity, I can see them being a boon to builders and certainly go a long way towards improving the selection in the wall. It might also work to split them away from the wall into a free-standing display like the a display. As it sits right now, the wall feels a little gutted. Since the Pick-A-Brick wall is the highlight of a store visit for many AFOLs, I’m anticipating a fair amount of grouching.